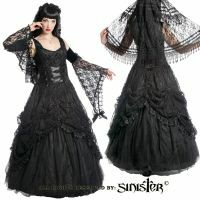 Sinister Gothic Plus Size Black Satin Lace & Tulle w Rosettes Long Wedding Gown [914Black] - $199.95 : Mystic Crypt, the most unique, hard to find items at ghoulishly great prices! 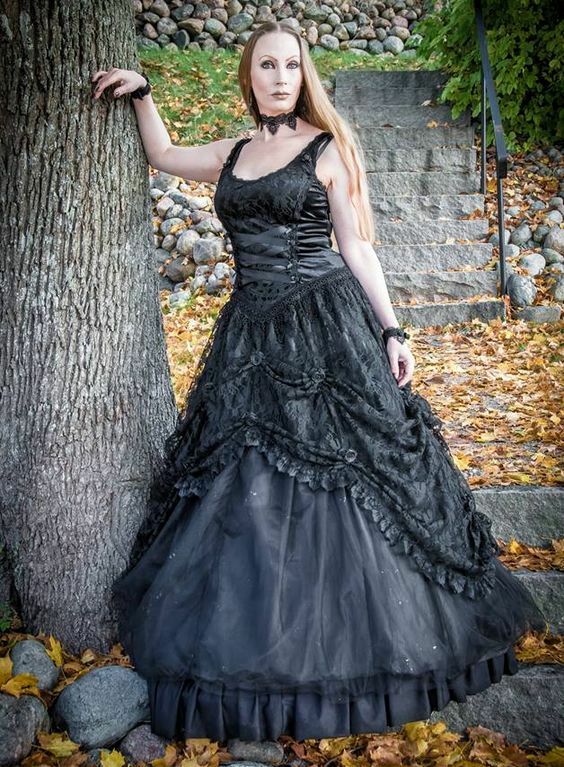 Long Gothic dress with diamond neckline. Bodice with waist accentuating velvet side panels. 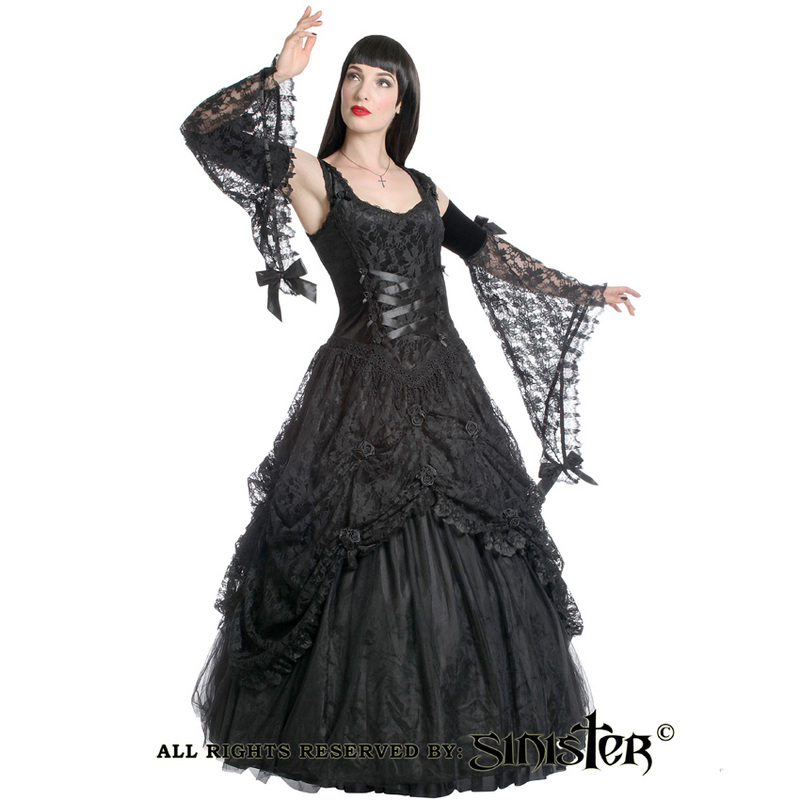 The bodice lower front has a black ribbon lace up adorned with satin rosettes. 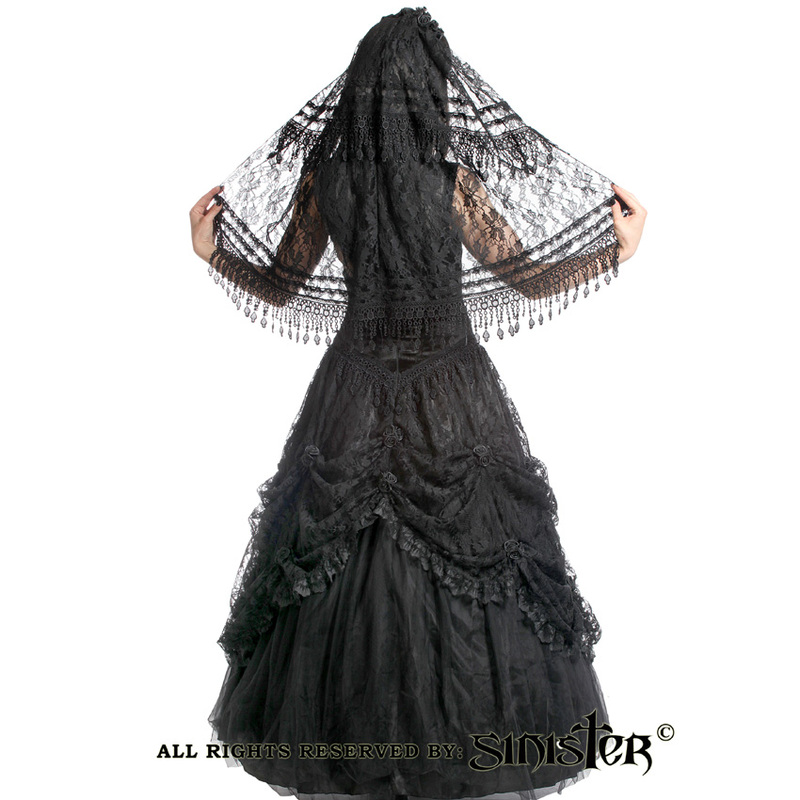 The full skirt consists of three layers, first layer silky soft satin, second layer tulle and a top layer of gathered lace adorned with satin roses, a lace ruffle and brocade trimming. Zipper fastening on center back. The Gothic Wedding Gown can also be worn with a hooped crinoline skirt for added volume or the long petticoat. Straight out of a fairytale book. This dress is GORGEOUS! 100% Polyester, Hand Wash Separately, Cool Iron. Made in Indonesia. 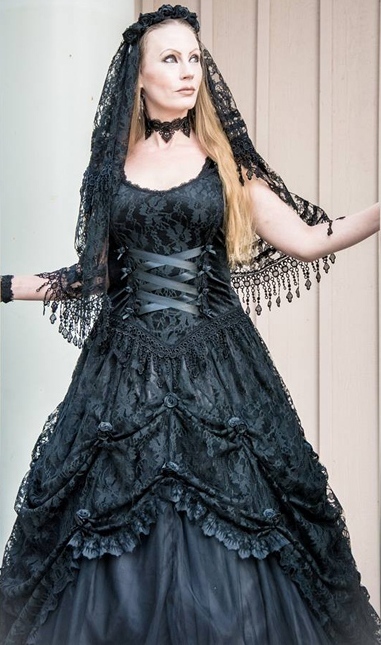 This dress would be great for a Gothic Wedding, Gothic Masquerade, or Prom. Please read the sizing chart carefully. 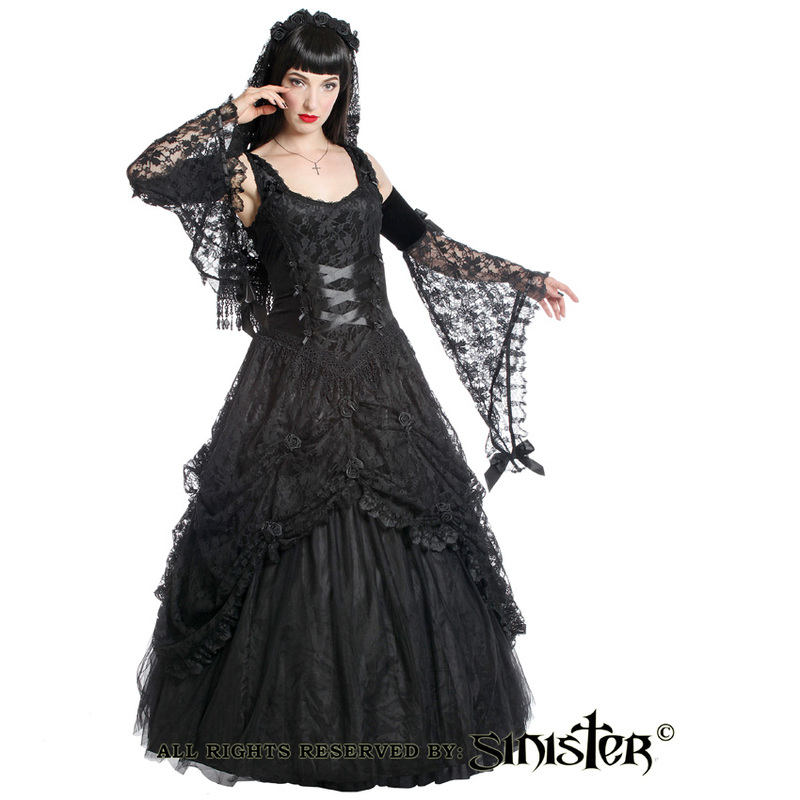 Sinister Gothic, Imported from Amsterdam, Netherlands.